In the last few weeks, attention and conversation has spiked around the topic of the separation of immigrant families at the U.S.-Mexico border. If you’ve spent much time on Facebook you’ve likely seen calls for donations to organizations supporting these immigrant families. The fundraiser for RAICES came up in my feed again and again, so I decided to look into what they were doing to stay so prominent and what lessons nonprofits could take from their moment in the spotlight of this national crisis. When a topic like this gets traction, it’s sure to be in people’s Facebook news feeds. By setting up a fundraiser directly on Facebook, their ask will potentially show up in newsfeeds directly next to the memes, videos and articles causing people to feel outraged and motivated to act. Make sure your nonprofit is set up to take donations on Facebook. Even if you don’t have a crisis now, you never know what might happen in the future. Also, it means people can easily do things like set up birthday fundraisers on Facebook to give to your cause. No doubt the RAICES staff is small and they were deluged by the need for their services. 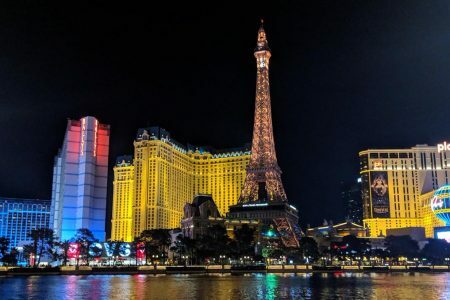 While managing the situation alone is likely an all hands on deck situation, managing hundreds of thousands of donations also requires a lot of communication. People want to know what is happening and that their money is going to help the cause. Despite the scramble, RAICES continually put out proactive communications. They even created video updates using a passenger to record the driver while they were driving from one location to another. Was it super polished and professional? Not necessarily. Did it give you a sense that these people were using every last second of the day to work for the cause? Yes. The video content provided a front-line update on what they were seeing in their work and where there was further need. They used every avenue possible, including Facebook Live for Q&As, and in some cases a Google doc that they updated with information and FAQs for donors, which includes everything from how the money will be used to how someone can change their donation amount on Facebook. All this communication engenders trust from donors who can see that their money is being put to good use and keeps the content fresh and engaging, potentially pulling in even more financial support. 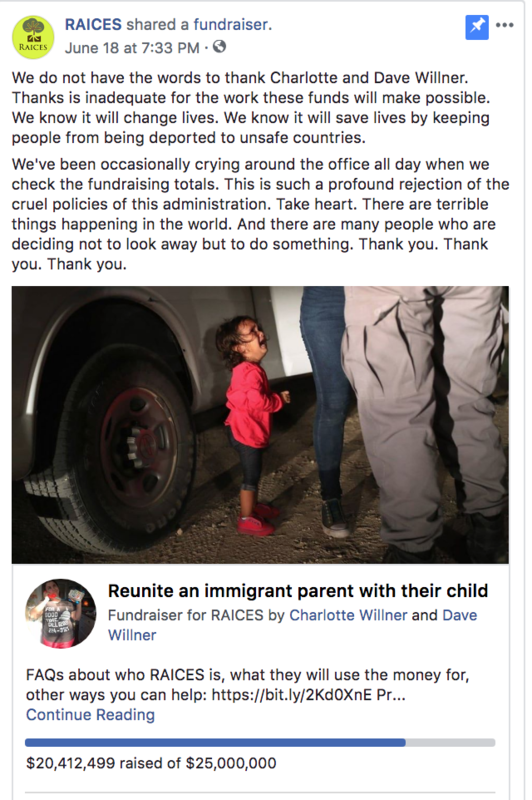 While the main fundraising posts were on Facebook, RAICES was using all of their social platforms to communicate. 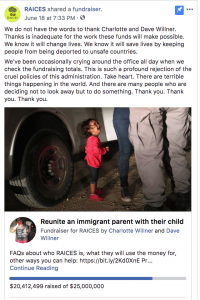 On Twitter and Instagram they thanked donors by name and linked to the various fundraisers, from computer stickers to t-shirts, that people created for RAICES. By publicly thanking these donors they were giving followers a way to give again and display their support. This acknowledgment also gave RAICES a start towards cultivating a positive relationship with the donors setting up the fundraisers. 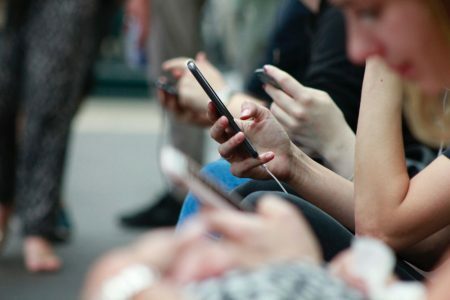 If you’re uncertain whether your nonprofit would be able to mobilize communications during a similar situation, it may be worth going over your crisis plan to include plans for these types of situations. You’re likely prepared to communicate if something goes wrong. Are you prepared for what would happen if you’re deluged with calls for your services and millions in donations? As of last count, Raices raised more than $20 million on Facebook alone.